Turkish stocks slumped the most in more than two years in May as the political turmoil that prompted the premier to resign sent investors fleeing the country’s assets. Turkey's conflict with Kurdish militants, said to have killed more than 5,000 people since July, has also destroyed at least 6,000 buildings that will cost approaching 1 billion lira ($340 million) to rebuild, according to a government estimate. ESPN FC's Alexis Nunes profiles Turkey's Euro 2016 campaign, led by Barcelona midfielder Arda Turan. The 2008 semifinalists return to the tournament after missing out last time around, but expectations are not especially high for a deep run. If they can get through the group, though, Turkey have the talent to trouble anyone on a given day. President Tayyip Erdogan officially designated the religious movement of U.S.-based Islamic cleric Fethullah Gulen a terrorist group and said he would pursue its members whom he accuses of trying to topple the government. In the past four weeks, Turkish President Recep Tayyip Erdoğan has moved closer to an executive presidency and Turkey’s rule-of-law architecture has moved farther away from EU standards. Simultaneously, German Chancellor Angela Merkel has voiced criticisms of Turkey’s policies, and Turkish leaders have responded with more threats to cancel the refugee deal Ankara sealed with the EU in March 2016. Because the Turkish president is going down the authoritarian road with new powers for himself and more restrictions on the rule of law, Turkey can no longer entertain the EU’s criteria, be they on visa liberalization or on accession. Turkey's nationalist opposition on Monday blocked a move by party dissidents to hold a special congress next month to try to oust its veteran leader, dragging out a dispute that is key to President Tayyip Erdogan's ambitions for greater powers. ISTANBUL — Turkey's foreign minister says joint U.S.-Turkish military action could oust the Islamic State group from Syria. Turkish President Tayyip Erdogan has accused Russia of providing anti-aircraft weaponry and rockets to militants of the outlawed Kurdistan Workers Party (PKK), the pro-government Star newspaper and other local media reported on Monday. Is the Cyprus crisis over? “I won’t play… They have taken my toy.” The weeping of Greek Cyprus leader Nikos Anastasiades has been soothed for now and the two leaders will resume their social encounters by coming together at a June 2 International Children’s Day event at the Nicosia buffer zone with the participation of children and young people from the Greek and Turkish halves of the eastern Mediterranean island. Well actually it is not, at least not in the case of Turkey. Actually, political Islam died the day the Justice and Development Party (AKP) got elected. A discourse featuring fair prospects of “justice” turned out to be a version of authoritarian crony capitalism. With the formation of the Binali Yıldırım government, the foreign exchange rate and interest rates seem set to be given a new direction. The pulse of the new government, in the second half of the year, will be set by the price of the dollar. Both domestic risks and the risks in the Middle East, as well as the Fed’s stance, are determining the price of the dollar. The dollar, as a matter of fact, is the most important parameter affecting Turkey’s state of affairs. THE Islamic State has made huge advances along the Turkish border, raising fears that the potential EU member state could soon be under all-out attack. The city of Istanbul has made no secret about it that they would like to become the new centre of the world. ANKARA, Turkey (AP) — Turkey's new government, led by President Recep Tayyip Erdogan's loyal ally, has easily won a vote of confidence in parliament. Istanbul (dpa) - In its final days, Constantinople was a shadow of its former glorious self, destined to fall into the hands of a new master. Once the largest and wealthiest city in Europe, serving for more than 1,000 years as the capital of the Byzantine, or Eastern Roman, Empire, it had been ravaged, including in a devastating sacking by Crusaders from Western Europe in 1204. In 2014, journalist Aslı Çakır Birol applied to the Directorate of Civil Registry with her lawyer Hülya Gülbahar, stating that her last name was changed against her will due to marriage. She demanded a new identity card prepared in her maiden name as Aslı Çakır. They are conducting joint operations in Syria with the YPG. Turkey, which regards the group as a terrorist organization, was irate. After weeks of uncertainty and foot-dragging, the Appeals Court this week made a critical ruling, setting the stage for a potential shakeup in Turkish politics that may block President Recep Tayyip Erdogan’s drive for an executive presidency. The court gave the green light for the Nationalist Action Party (MHP) to hold a convention requested by in-house dissidents seeking to remake the party, whose erosion in recent years has played directly into Erdogan’s hands. Leading the dissidents is Meral Aksener, a rare female heavyweight on Turkey’s political scene, whose fortunes may now change not only the MHP’s but also Turkey’s course. It was not too long ago that we were all expecting the Turkish state to be accepted into the European Union. While President Erdogan and his party AKP had the majority of the governmental power, the economy grew rapidly in the country. Prime Minister Binali Yildirim will chair meetings of Turkey's Economic Coordination Board, the government said on Friday, in what appeared to be a further trimming of the powers of Deputy Prime Minister Mehmet Simsek. The U.S. government's efforts to deny bail to a 33-year-old gold trader has rekindled allegations of a multi-million dollar bribery scheme involving Turkey's former EU minister, a charity close to President Recep Tayyip Erdogan and the chief executive officer of a major state bank. Sign up now to receive our regular news briefs. For 17 days this month, Dutch columnist Ebru Umar was held against her will in Turkey, and legally barred from leaving the country. Her alleged crime: insulting President Recep Tayyip Erdogan. But after extended negotiations between the two governments, the controversial, outspoken Umar finally returned home to Amsterdam on May 11. ISTANBUL — How will the emergence of Turkey’s Binali Yıldırım as the country’s latest prime minister affect Turkish foreign policy? Many analysts here are focused on the domestic policy implications of Yıldırım’s ascension to the prime ministerial job, but foreign policy may be the central field Turkey watchers should be looking at these days. In his first parliamentary group speech on May 24, Yıldırım announced his new foreign policy strategy. “We will increase the number of our friends; we will decrease the number of our enemies,” he said. IT WAS meant to be a game-changer. When a deal between the European Union and Turkey was struck in March with the aim of limiting the numbers of asylum-seekers coming to Europe, many in Brussels felt cautiously optimistic. Angela Merkel, the German chancellor, claimed it offered a “sustainable, pan-European solution”. In exchange for visa-free travel for some of its citizens, €6 billion ($7 billion) in refugee aid and revived talks on possible future accession to the EU, Turkey was to take back migrants who had made their way to Greece and try to secure its borders. Faced with perhaps another million refugees making their way to Europe this year, it appeared to be the only way to bring some order to the chaos. How do you deal with "allies" who are stabbing you in the back on security issues even as they claim they are helping? Think Pakistan - which received bipartisan U.S. backing for decades even as it sheltered the Taliban and Osama bin Laden. Or Saudi Arabia, whose citizens and charities still fund jihadis. The Denk Partij (Think Party) is the first political force in Europe established by migrants for migrants, but it is attracting controversy for their approach to the Turkish regime, Israel and anti-Semitism, and the Armenian genocide. Investors who cheered the survival of Turkish Deputy Premier Mehmet Simsek will probably find he can no longer be a market-friendly counterweight to President Recep Tayyip Erdogan’s economic policies. The new Turkish government under Prime Minister Binali Yildirim, the stalwart loyalist to President Recep Tayyip Erdogan, was announced May 24. As expected, the government consists entirely of Erdogan faithful. What is surprising is that some ministers who were predicted to lose their portfolios actually stayed on. Can Turkey Assimilate Its Refugees? 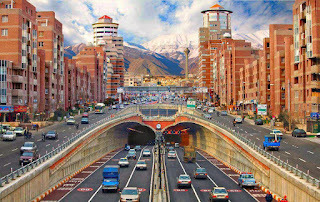 The neighborhood of Bağlariçi is some six miles north of Ankara’s city center. Like most of its suburban quarters, its apartment blocks and high streets are neither distinct nor very old. Superficially, the neighborhood is a testament to the city’s rapid growth over the last decade. Recent events, however, have shown that Bağlariçi is emblematic of a profound new trend in Turkish society. By methodically eroding liberal democracy, Netanyahu and Erdogan could endanger their states' domestic and international legitimacy. At least if the current diplomatic moves bear fruit they’ll have each other. The recent sacking of Prime Minister Ahmet Davutoglu, coupled with recently passed parliamentary bills and laws, confirms that Turkey is headed for one-man dictatorial rule. This rule will not be similar to dictators or regimes that have come to power through military coups. An Erdogan-led regime would have nearly 50 percent voter approval and be led by a Justice and Development Party (AKP) that, during the past 13 years, has raised the per capita income of Turkey’s citizens 50 percent with a substantial increase in living standards. By further hardening his approach toward Kurdish nationalism at home and in Syria, Erdogan hopes to woo Turkish ultranationalists and legally enshrine his executive power, but his efforts could clash with U.S. policy on the war next door. Erdoğan’s grip on power in Turkey is tightening. How did it come to this and how can his government be challenged? Dutch companies in Turkey are also considering Syrian refugees when looking to fill vacancies, Minister Lilianne Ploumen of Foreign Trade announced. Currently there are 240 vacancies that are open to refugees. “That is beautiful”, she said. ANKARA - Turkey's nationalist opposition said on Tuesday it would hold an extraordinary congress aimed at resolving a leadership dispute, a move that could dash President Tayyip Erdogan's ambitions of winning greater powers. NICOSIA - Cyprus President Nicos Anastasiades on Tuesday cancelled scheduled peace talks with the Turkish Cypriot leader over what he sees as attempts to recognise the Turkish-held north of the divided island. Turkey’s flag carrier Turkish Airlines that offers the highest number of international destinations and also countries in a flight network also takes an active interest in Europe’s sporting and cultural events. As the Official Airline Partner to UEFA EURO 2016, the carrier announced a new campaign named ‘Meet Europe’s Best’. Turkey’s currency is jeopardizing the government’s plan to revive the economy via interest-rate cuts. Armed violence is the most used instrument of power for organizations such as the Kurdistan Workers Party (PKK) to impose their political agendas. But in recent months there have been signs that the PKK is having trouble managing this violence. The latest example came May 10 in the Durumlu village of Turkey's Diyarbakir’s Sur district, when a massive explosion killed 16 civilians. Turkish female journalist Arzu Yildiz was this week sentenced to 20 months in prison for her reporting on alleged Turkish arms shipments to Syria, a highly controversial issue that has riled Ankara and landed both journalists and judicial officials in jail. The court, however, did not stop there, and stripped Yildiz also of her parental rights. While the imprisonment of journalists may have become commonplace in Turkey, now ranking 151st on the World Press Freedom Index, the restriction of Yildiz’s parental rights marks a new milestone in the extent the pressure on journalists has reached, affecting even their familial ties and social standing. When the Syrian refugee crisis started, most people were busy with the number of refugees and the cost associated to it, Hürriyet Chairwoman Vuslat Doğan Sabancı has said, adding that this was the case until Doğan News Agency reporter Nilüfer Demir photographed the body of a little child, Aylan Kurdi, washed ashore in Turkey. Italy has proposed tackling the challenges of various aspects of the refugee crisis together with Turkey in order to achieve a comprehensive and lasting solution to the issue. (CNN)The poster's message isn't subtle: The Turks are coming. The image shows a British passport as an open door with a trail of footprints passing through. The words declare with certainty that Turkey and 76 million people who live there are joining the European Union. Global leaders met in Istanbul on Monday to tackle a “broken” humanitarian system that has left 130 million people in need of aid, a near insurmountable task for a two-day summit that critics say risks achieving little. President Recep Tayyip Erdogan's ouster of Prime Minister Ahmet Davutoglu to clear his own path to absolute power has left many wondering what effect the move will have on Turkey's foreign policy orientation and its relations with the West in particular. German Chancellor Angela Merkel told Turkey's president on Monday that Ankara must fulfill all the European Union's conditions to secure visa-free travel for its citizens, but Turkey responded that it would suspend agreements with the EU if the bloc does not keep its promises. Dutch prime minister Mark Rutte has had informal talks with Turkey’s president Recep Tayyip Erdogan on the fringes of the current UN humanitarian summit in Istanbul. The German chancellor is likely to press her Turkish counterpart on the EU migrant deal as world leaders discuss aid issues. "Doctors Without Borders" (MSF) has pulled out of the conference, saying it will be inadequate. Turkey as a new model? Investors are playing a waiting game to see whether Deputy Prime Minister Mehmet Şimşek, who is seen as an anchor of investor confidence, will be retained in a new Turkish cabinet and what decision the Central Bank might take on interest rates in its upcoming meeting. Has Turkey become a scapegoat in the fiery Brexit debate? With controversies over its democracy and external challenges such as the flow of migrant, Turkey’s place in Europe has again become a debate for Euroskeptics in Britain. ISTANBUL: World leaders and aid groups meet in Istanbul on Monday for an unprecedented UN-backed humanitarian summit seeking to transform the world’s response to crises triggered by conflict and climate change. May was a very important month for Turkish democracy. For decades, Turks marked the May 27 anniversary of the 1960 coup as the “Liberty and Constitution Day.” What’s more, after the 1950 multi-party election, May 14 was marked unofficially as the “Democracy Day,” even by people who suffered most under the Democratic Party (DP), which was voted into power in 1950 and which transformed from a democratic government into a majoritarian dictatorship. Turkish President Tayyip Erdogan asked the new leader of the ruling AK Party, Binali Yildirim, to form a new government on Sunday, according to a presidential statement, confirming him as the country’s new prime minister. The UK would be powerless to prevent Turkey joining the EU despite the "security risks" its membership could bring, a defence minister has said. Penny Mordaunt said the migrant crisis would hasten talks over Turkey's EU bid and see more criminals entering the UK. Berlin (dpa) - German Chancellor Angela Merkel criticized a move by the Turkish parliament to remove immunity from prosecution from around a quarter of lawmakers in an article published in Sunday‘s Frankfurter Allgemeine Zeitung. Turkey's ruling AK Party is meeting to anoint a new party leader who will also become prime minister - after Ahmet Davutoglu stepped down following long-rumoured tensions with President Recep Tayyip Erdogan. Turkey’s parliament on Friday (20 May) adopted a highly divisive bill that will lift immunity for dozens of pro-Kurdish and other MPs and could see them thrown out of parliament. China is changing, and the world feels the shockwaves, far and wide. This process hurts the Turkish economy, but much less than other emerging economies. I hear lots of complaining in Ankara and Istanbul, but I think if Turkey plays its cards well, the benefits could outweigh the costs. ATHENS, Greece - Greek judges have ruled that a Syrian refugee should not be sent back to Turkey. Amnesty International has said that migrants in Turkey are not safe as they do not have basic human rights and could be taken to Syria. A young population has played a crucial role in Turkey’s economic story in a bid to positively differentiate itself in the region. The country, however, faces the serious risk of losing this advantage in a substantial way unless some crucial steps are taken immediately to increase the quality of education and labor productivity. A deal which involves Turkey controlling the flow of Syrian migrants to Europe entered a new phase of volatility on 5th May, just a day after the European Commission recommended visa-free travel for Turkish nationals seeking to go to Europe. News broke that Turkish Prime Minister Ahmet Davutoglu had been forced to resign. Turkish nationals eager to travel to Europe untrammelled by wads of visa applications appear to have had their hopes dashed by a power struggle in the ruling party. Tom Stevenson reports from Istanbul. Turkey sets its goal to woo over 1 million Chinese tourists as a solution to the decreasing number of European and Russian visitors this year. Hansjoerg Haber altered an old German proverb to describe how the EU migrant deal had run into trouble. His remarks were criticized by the Ankara government. On Sunday Turkey’s ruling AK (Justice and Development) Party will hold an extraordinary convention to elect a new chairman and prime minister. But don’t hold your breath, party loyalist, Binali Yildirim, has been nominated and there is no reason to believe he will not be elected with acclaim. Binali Yildirim, a close ally of Turkish leader Recep Tayyip Erdogan, is set to become the country’s new prime minister -- an appointment that will significantly strengthen the president’s grip on power. The Turkey Project tracks Turkish domestic politics, foreign policy, and the economy through publications and high-level meetings. What did the West get wrong about Turkey? An experienced analyst, who has for years worked on Turkey monitoring the investment environment for a major international financial entity, was disappointed after speaking to a number of decision-makers in Istanbul’s financial world. The analyst, speaking on condition of anonymity, said he asked all of them about the situation of the free press in the country, but observed that it was not on their radar as a big risk. “We manage risks for investments,” he added, saying he believed that problems of the free press and free judiciary should be of concern to all. Will Turkey let UN officials snoop in the southeast? Turkey’s US and European allies continue to maintain a near silence over the country’s steady descent into a human rights nightmare, even as respected global watchdogs chronicle the abuses taking place there on an almost daily basis. Whether it is silencing the media, torture during detention or mass violence against civilians in the mainly Kurdish southeast, according to rights defenders, Turkey is beginning to resemble the Middle East dictatorships that it was once touted as a model for them to follow. With just days left until Turkey is due to name a new cabinet, President Tayyip Erdogan's advisers have renewed the call for lower interest rates - a sign, some investors fear, of a more populist policy team to come. Can we see Turkey’s tourism as a brand? Turkey is a brand. In fact, all the countries in the world are a brand in this huge stock exchange of humanity. They are a brand with their science, human resources and production. Each country is a value with the television, mobile phone and automobile brands it produces. The Turkish parliament begins debating a hugely controversial bill that would strip dozens of deputies of their parliamentary immunity and which pro-Kurdish deputies say is directly aimed at driving them out of the legislature. Aziz Sancar will donate a replica of his Nobel Prize in Chemistry medal and certificate to Istanbul University, from which he graduated back in 1969. Syrian refugees first started coming to Turkey in limited numbers in 2011. By January 2012, the number was close to 10,000. A row between Turkey and the European Union over the former’s anti-terror law has put a deal between the parties to curb migrant flows into the bloc in exchange for visa liberalization at risk. Istanbul has solidified its place in “The World’s Top 10 Congress Destinations” since 2010, hosting 148 congresses in 2015, 18 congresses increase over 2014, making the city the 8th most popular congress destination worldwide. This result points to 14% rise comparing to 2014 which 130 congresses were held. The collision between Turkey and the European Union (EU) was not unexpected, arriving as it did before mid-May. Now, attention has turned to the next looming crisis, between Ankara and Berlin. THE MODERN frontiers of the Arab world only vaguely resemble the blue and red grease-pencil lines secretly drawn on a map of the Levant on May 16th 1916, at the height of the first world war. Sir Mark Sykes and François Georges-Picot were appointed by the British and French governments respectively to decide how to apportion the lands of the Ottoman empire, which had entered the war on the side of Germany and the central powers. The Russian foreign minister, Sergei Sazonov, was also involved. Turkish police sealed off a hotel in Ankara on Sunday to prevent dissident members of an opposition party from holding a snap meeting, which, if it went ahead, could potentially thwart President Recep Tayyip Erdogan's plans to expand his power and authority. Following Prime Minister Ahmet Davutoglu’s announcement May 5 that he was resigning as head of the ruling Justice and Development Party (AKP) and giving up the premiership, President Recep Tayyip Erdogan continues to consolidate power. German politicians accused Chancellor Angela Merkel of making Europe overly dependent on Turkey in the migrant crisis, leaving the bloc vulnerable to blackmail by President Tayyip Erdogan. Was the shooting attempt on Can Dündar just ‘a piece of theatre’ or a serious attack on press freedom? SBS Turkish Radio Producer Ismail Kayhan analyses coverage on both sides of the Turkish media. More:Is the Islamic State Trying to Draw Turkey into Syria? If there is one thing the sector can agree on, it is that the need for serious discussion about humanitarian response has never been greater. Over the past decade the number of people affected by humanitarian crisis has almost doubled. At the same time the money needed to resource effective action is dangerously lacking with a shortfall of billions. Many argue that the system is broken and it is time for creative, and even radical, reform. Hundreds of migrants from the Caribbean are travelling more than 6,000 miles to enter the European Union through Greece, the Mail can reveal. [JURIST] Turkish state police on Sunday prevented members from the Nationalist Movement Party (MHP) [official site, in Turkish] from holding a party congress in direct opposition to President Recep Tayyip Erdogan [official profile], by sealing off a hosting hotel. Police put up barricades and sealed the hotel to prevent party members from gaining access to the hotel where they had planned to hold a congress to challenge the allegedly growing power [Reuters report] of Erdogan. This week lawmakers will vote on rescinding parliamentary immunity, enabling the prosecution of dozens of politicians from the pro-Kurdish Peoples’ Democratic Party (HDP) on charges of supporting banned militant groups. The HDP says President Recep Tayyip Erdogan simply wants to crush Turkey’s most vocal political opposition. The issue has already led to brawls: silver-haired MPs throwing punches, leg kicks and water bottles. Violence outside parliament is still more ominous. The resignation of Premier Ahmet Davutoglu - architect of Turkey’s assertive foreign in the Balkans - raises questions about who will now fill this role in future. Some 170 city administrators and authorities from 25 countries shared their experiences in fighting against violent extremism and building social cohesion in a bid to prevent radicalism in the first Strong Cities Network (SCN) Summit in the Mediterranean resort of Antalya on May 11-12. Previously, Turkey’s domestic airplane production project, TRJET’s, introduction to the international press was made at the Paris Air Show 2015 Aviation Fair. Previously, Turkey’s domestic airplane production project, TRJET’s, introduction to the international press was made at the Paris Air Show 2015 Aviation Fair. 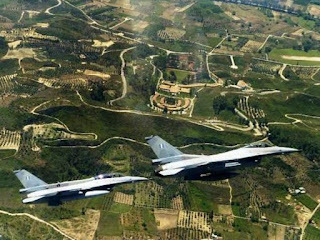 hTe multi-faceted relations between Turkey and Pakistan are burgeoning in defence field as the former has agreed to modernise the Pakistan Air Force (PAF) F-16 fleet which will cost Islamabad $75 million, said a senior official of Turkey-Asia Pacific Councils of Foreign Economic Relations Board (DEIK) on Saturday. 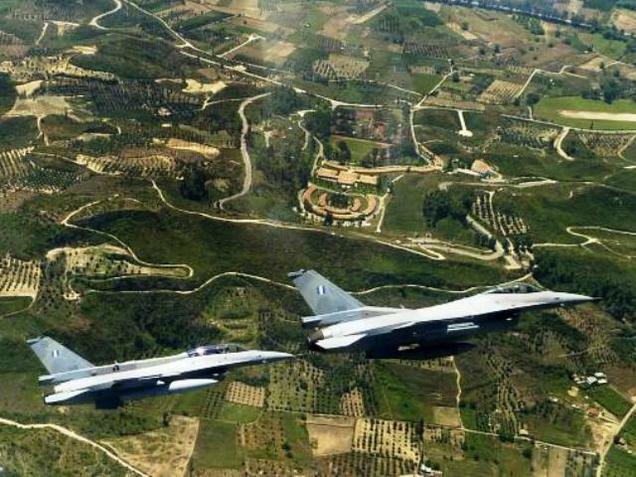 Both countries have struck a deal in an aviation project under which Istanbul will modernise Pakistan’s air fighter planes and some of them have already been flown to Turkey, said regional coordinator Volkan Yuzer while giving briefing to a group of visiting journalists hailing from Asia-Pacific countries. He said Turkey was manufacturing engines of the F-16 jets, besides making some of their spare parts as well. Questioned on the great business opportunities in Pakistan, he said, at least 100 Turkish companies were already doing successful business in Pakistan. These companies have invested $2.7 billion on various projects in Pakistan until 2014. More Turkish investment, he said, was expected in energy, infrastructure and beverages projects. He disclosed that Turkish Coca Cola Company was expected to bring in $250 million investment in Pakistan in next three years. Responding to a question, he said there was a great potential for investment in Pakistan’s dairy industry as it was one of leading milk-producing countries in the world. He said Fontera company, a big name in this industry, was interested to make investment in the dairy industry but he did not divulge more details. To a question on signing of the Free Trade Agreement by September this year, he said both sides were working out details of the agreement. When asked how would it impact trade between the two countries which now hovers around $600 million, he said it was expected to increase to $1 billion, besides seeing a surge in Turkish investment in Pakistan. Music, kitsch and politics took centre stage at the 61st edition of the Eurovision Song Contest in Stockholm on Saturday night. The competition was won by Ukraine with 534 points. The country’s candidate, 32-year-old jazz singer Jamala, had called on Europeans to support her to show they were “not indifferent to suffering” in Crimea, which was annexed by Russia in 2014. She said her song, “1944”, was not only about the deportation of the Crimean Tatar population during World War II, but also about the events of the past two years in the peninsula, which was annexed by Russia in 2014. Australia came second with 511 points with “The Sound of Silence” by Dami Im, while Russia – a pre-contest favourite, was third with Sergei Lazarev’s “You Are The Only One” on 491 points. The final was broadcast to an estimated 200 million viewers in Europe and beyond – including, for the first time, in the United States. Turkish Tourism Ministry: "Turkey will build 10 hotels in Iran"
Turkish investors will be allowed to build at least 10 hotels in Iran, a Turkish tourism ministry official said on Friday, as the two countries look to increase bilateral trade after international sanctionson Iran were lifted in January. 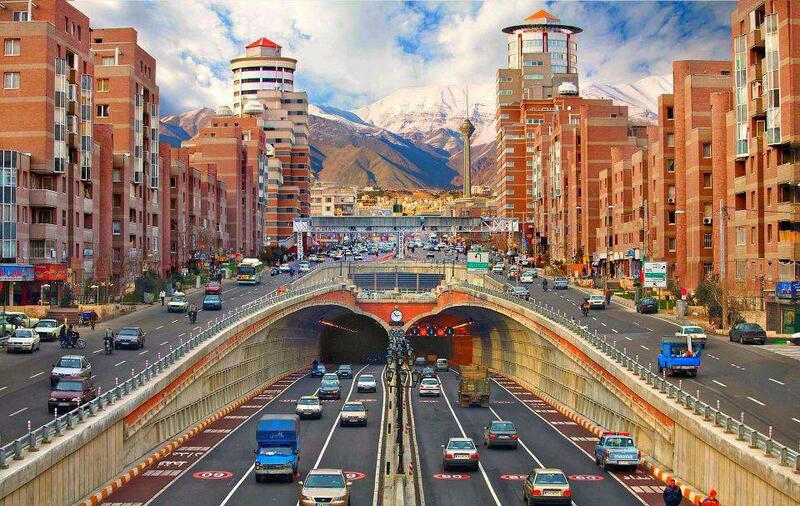 The hotels would be built in Tehran, Isfahan, Shiraz, Tabriz and Mashhad, the official said, under the terms of an agreement with Iran signed during a Turkish delegation's visit to Tehran that started on Thursday. The agreement includes incentives for investment and allows more charter flights between the neighboring countries, he said. Turkish Airlines, one of the world's fastest growing airlines, on Tuesday started with direct flights between Istanbul and Dubrovnik. Abdulkerim Cay, director of human resources at Turkish Airlines, took part in the inaugural flight ceremonies. According to him, Turkish nAirlines is seriously considering buying Croatia Airlines, reports tportal.hr on May 13, 2016. Editor’s Note: The Global Affairs column is curated by Stratfor’s editorial board, a diverse group of thinkers whose expertise inspires rigorous and innovative thought in our analyses. Though their opinions are their own, they inform and sometimes even challenge our beliefs. We welcome that challenge, and we hope our readers do too. Bashing Turkey distracts us from the crisis of European values. ews of Turkish prime minister Ahmet Davutoglu’s resignation has renewed concerns that Turkey is edging ever closer to outright dictatorship. President Recep Tayyip Erdogan, whose ruling AKP Party reclaimed its majority last year, has for years been trying to give the largely ceremonial Turkish presidency binding executive power. Davutoglu, while paying lip service to Erdogan’s plan, was thought to be reluctant to push for the new system. And, in what has been called a ‘palace coup’, Davutoglu’s now been ousted, with Erdogan’s son-in-law, Berat Albayrak, a likely successor. A Dutch professor, given a medal for advocating Turkish integration into the EU, is returning the award. He now says that under "de-facto dictator" Erdogan, Turkey cannot be a member of the European bloc. Top European Union and German officials made clear Thursday that Turkey must back off from its refusal to change its anti-terror laws if it hopes to secure visa-free travel to Europe for Turkish citizens. A ‘low profile’ Turkish prime minister? Turkish political literature has introduced a new phrase, “low profile prime minister,” since Prime Minister Ahmet Davutoğlu announced he was leaving his post and the chairmanship of the ruling Justice and Development Party (AK Parti) in a snap congress on May 22. Why was President Recep Tayyip Erdogan's supposed ally forced out of the Prime Minister post? The answer lies in the particular ambitions of this Turkish leader. A German court is refusing to silence a top media executive who has defended a satirical poem that makes fun of Turkish President Recep Tayyip Erdogan. Turkish President Recep Tayyip Erdogan said early this week that his country’s strategic goal was membership in the European Union, and expressed the hope that granting Turkish citizens visa-free travel within the EU would advance the accession process. The lions need to update their software, apparently. Confused? In President Recep Tayyip Erdogan’s usage, a lion subsisting on salad is like a country running old software even though it's got strong hardware. The European Union’s top diplomat based in Ankara said Brussels will have to see the final version of Turkey’s legislation on terrorism before making a final decision on the prospective deal to liberalize visa requirements for Turkish citizens visiting Schengen member countries. MEPs have stopped work on plans to give Turks visa-free access to the EU’s Schengen zone, putting a wider migrant deal in doubt. A newspaper columnist who was briefly detained in Turkey and then banned from leaving the country during an investigation into tweets deemed insulting to the president has been allowed to return to the Netherlands. Turkish flag carrier Turkish Airlines on Tuesday posted a massive loss as concerns over security in Turkey and the region took their toll on the ambitious airline. Turkish Airlines said its net loss in the first quarter amounted to $421 million, compared with a net profit of $153 million in the same period last year. At times, the battle against the Islamic State (ISIS) has seemed to hinge on the 560-mile line that divides Turkey and Syria. The United States and Russia have frequently urged Ankara to seal off its southern border in order to cut off supplies and volunteers destined for the radical group. For much of the conflict, Turkish officials have responded coolly to such calls. Some have argued that closing off the border is impossible. ISIS has seized significant portions of territory on the Syrian side of the perimeter, and walling off, or manning, such a distance would be expensive and require a huge number of security personnel. Further, stopping all traffic out of Syria would also mean turning away refugees en masse. ANKARA, May 10 (Reuters) - Turkish President Tayyip Erdogan accused European nations on Tuesday of being safe havens for the political wings of terrorist groups and said it was a "black comedy" for the Europe Union to lecture Ankara on changing its anti-terrorism laws. Turkey’s national airline reported the biggest loss since at least 1999 in the first quarter as geopolitical risks and security concerns pressured direct traffic into the country. Turkish Prime Minister Ahmet Davutoğlu’s sudden departure from the corridors of power may not necessarily mark an end to the refugee deal with Europe — but it will certainly raise the stakes for Europe in its dealings with Ankara. What Next for Turkey After Erdogan Power Play? On 7 March 2016, Turkey's Prime Minister Davutoglu met European Parliament President Martin Schulz: “For the benefit of refugees we need to cooperate with Turkey” Source: European Parliament. Ahmet Davutoglu was disliked by many in Turkey. As he steps down as Turkey's Prime Minister amid an apparent confrontation with President Recep Tayyip Erdogan, he will fail to distance himself from the grave human cost of the government military operation in Eastern Turkey and a crackdown on media and the opposition. Tayyip Erdogan's ambitions for a swift move to strong presidential rule could suffer if dissidents in Turkey's nationalist opposition succeed in a party leadership challenge that could bolster their party's electoral support. Prime Minister Davutoglu’s resignation has created chaos in Ankara. Experts that spoke to DW agree that given Erdogan’s pursuit of a presidential system, Turkey’s transformation into a ‘one man’ regime is imminent. Modar, a Syrian refugee, arrived in Europe last fall wearing a secondhand shirt he purchased in Damascus for $1. The shirt was clean, unwrinkled and stylish. The visa-free travel scheme between Turkey and the European Union continues to be a problem, amid challenging statements from both sides. Turkey's president said Monday that membership in the European Union is one of Turkey's strategic goals and hopes visa-free travel will bring the country closer to achieving that. Austrian Chancellor Werner Faymann has resigned after losing the support of Social Democratic party colleagues. He told a news conference that Austria needed a chancellor who had his party "fully behind him". Deputy Chancellor Reinhold Mitterlehner is to take over as chancellor on an interim basis. Now, it is Erdoğan’s Turkey, like it or not. I have been writing about the authoritarian tilt in Turkey for six years. We are now at the end of the story, after the parliamentary regime’s last prime minister was deposed in a curious way last week by President Recep Tayyip Erdoğan. Prior to the announcement, rumors of the Prime Minister’s resignation already impacted the Turkish currency. By Friday, the Lira saw its worst weekly fall in almost 14 months. The Istanbul Stock Exchange witnessed intense volatility. Turkish Deputy Prime Minister Mehmet Simsek is the last man standing from the team feted by investors as the driving force behind the nation’s rapid growth years. Istanbul (AFP) - Turkish President Recep Tayyip Erdogan on Sunday accused the international coalition battling the Islamic State group in Syria of leaving his country to fight the jihadists alone on its own soil. Few observers of Turkish politics are surprised that prime minister Ahmet Davutoglu has announced that he will step down at the end of the month. The direction of travel in Turkish politics has been clear for some time. Having engineered a move from prime minister to president in 2014, Recep Tayyip Erdogan appears to be willing to stop at nothing to solidify his grip on power. Turkey has announced that the country’s president, Recep Tayyip Erdogan, will be present at the official opening ceremony of a controversial new mosque in the Netherlands at which 2,500 people will be praying. ISTANBUL (Reuters) – Turkish President Tayyip Erdogan on Saturday poured more cold water on hopes for progress with Europe on a deal to curb migration, suggesting Ankara would not change its anti-terrorism laws just to meet European Union requirements. Recep Tayyip Erdogan has won his power struggle with Ahmet Davutoglu. But, DW's Reinhard Baumgarten writes, the battle made clear that resistance to Turkey's president is growing - even within his own party. ISTANBUL: Turkish President Recep Tayyip Erdogan today accused European nations of hypocrisy in pressing his country on terror laws while "sidelining democracy" at home in their own fight against terrorism. What next for Turkey’s AKP after Davutoglu's exit? Is Washington enabling despotism in Turkey? "We would expect that Turkey will follow its own democratic procedures … I am not going to speak to the specifics of an internal process there inside Turkey. Gotta go." With these dismissive comments, US State Department spokesman John Kirby ducked questions at a press briefing last week about a Turkish government-inspired bill to strip lawmakers of their parliamentary immunity and clear the path for their prosecution over alleged crimes. At first glance, Turkish President Recep Tayyip Erdogan’s unceremonious disposal of his prime minister, Ahmet Davutoglu, this week was more of the same — the swift dispatch of a rival, ruthless party politics and a further consolidation of the levers of Turkish democracy within his hands.